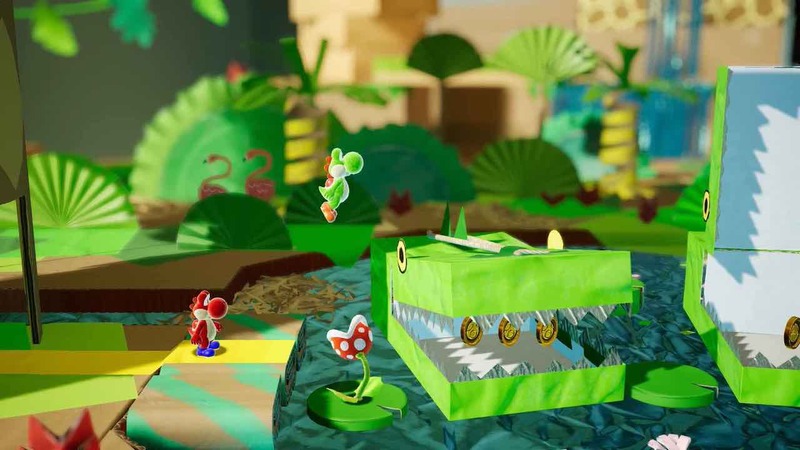 Yoshi’s Crafted World has leaked as Yoshi for Nintendo Switch’s final title, the dinosaur-like character’s new side-scrolling adventure that’s destined to release exclusively on the portable home console. After this week’s Nintendo Direct was delayed in the wake of the tragic earthquake in Hokkaido, the title had replaced the placeholder on Nintendo of America’s website long enough for someone to spot the momentary blip. This is believed to be news that is to be shared in the postponed Nintendo Direct, along with Final Fantasy XV Pocket Edition HD, Sid Meier’s Civilization VI and the Mega Man 11 demo. The action-platformer will let players explore a world that has been decorated like a miniature diorama, where each stage has both a front side and flip side that will reveal hidden secrets and surprises. Yoshi’s Crafted World will release exclusively for Nintendo Switch worldwide in 2019.